Training manager, Gary Banks, recently organised for a First Aid provider to run a training session for an AED (defibrillator) at the Torquay Bowls Club. 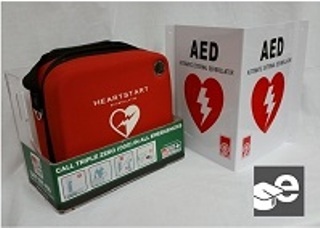 Having a defib can make the difference in the first few minutes of a sudden cardiac arrest incident. It is easy to use and can save a life prior to ambulance arrival.